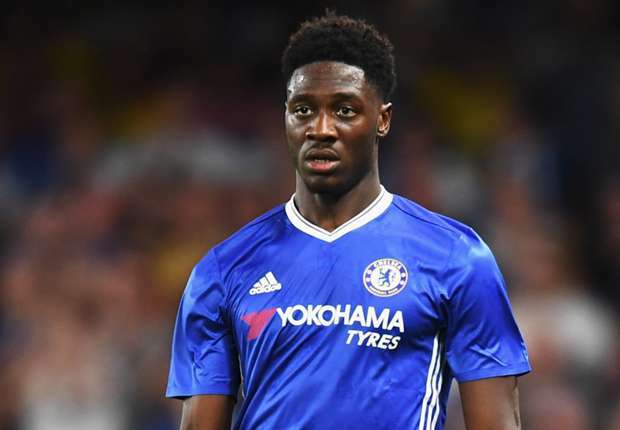 Chelsea FC and England U-20 defender Ola Aina has joined up with the Super Eagles squad for a training match with an unnamed side on Monday. Aina, 20, was handed a late invitation by coach Gernot Rohr for the training match billed for the Hive stadium on Monday. He was joined by Sunderland's 18-year-old forward Joshua Maja and Queens Park Rangers' Scottish-born forward Eberechi Eze. Aina has made six appearances for Chelsea this term in all competitions. Josh has made five appearances for the Black cats with four of the coming in the Football League Trophy tournament (U23s) and one in the English Football league game against QPR where he came on in the 68th minute for Lynden Gooch. Eze's only appearance for QPR this season was in the English FA Cup. He featured for 18 minutes in QPR's 2-1 loss to Blackburn on the 7th of January, 2017. The trio will be assessed by the Super Eagles technical crew it was gathered from a media release.